As more people become critical of their image each day, the rise on cosmetic surgery demand ensues. It is important to realize that plastic surgery is now no longer just for women. In the recent years, there has also been a noticeably increased demand in cosmetic work from men. Dr. Jeffrey Schreiber, a board-certified plastic surgeon from Baltimore and an ASPS member, provides insight on why more men are now requesting surgeries and the common types of procedures performed. Why Are More Men Seeking Plastic Surgery? The reason behind the increased rate of interest in cosmetic surgery with men varies. Pressure in the workplace is a major factor. The perception at work is that youthful means fresh, energetic and cutting-edge. So older men in business try to stay competitive with their younger colleagues by maintaining a youthful appearance. There are some who find themselves back in the dating game after a divorce and are trying to regain their confidence by achieving a younger look. Although a number of patients tend to fall under the forties or fifties age range, there is also a growing trend of millennial males requesting for procedures, such as Botox. In any case, these men see cosmetic treatments as a ticket to living life to the fullest. As men age, their upper and lower eyelids tend to sag and get heavier, and giving the appearance of being tired or sleepy. The procedure involves tightening of the skin and muscles around the eye area to achieve a fresher and more energetic demeanor. Having a vibrant aura is especially important for professional men in the workforce. The term “dad bod” has recently gone viral, which pertains to a flabby characteristic that most middle aged men have. Excess fat around the abdomen can be very difficult to get rid of in men. Liposuction basically sculpts their abdominal area to a more attractive proportion by removing localized fat deposits in the mid-section. 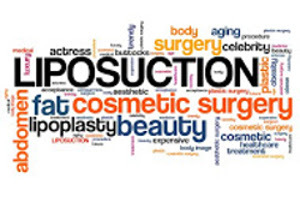 In cases where liposuction doesn’t do the job, a tummy tuck may be recommended. Ask a trusted doctor in Baltimore, MD about your options. Rhinoplasty is a procedure that corrects the shape, placement (and sometimes the function) of the nose to appear proportioned to the rest of the face. Most men have engaged in contact sport in their youth and may have suffered an injury and need Rhinplasty to correct that. Cosmetic surgery with men has now become commonplace that there is no longer a stigma surrounding it. If you’d like to know more about your options, schedule a consultation with a Baltimore cosmetic surgery provider for a thorough evaluation.